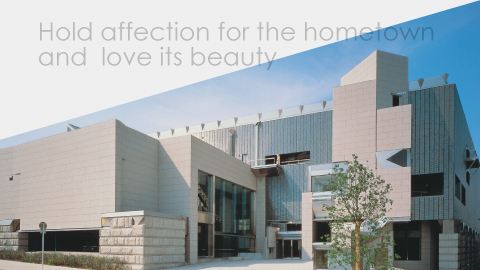 Our museum has a collection of many excellent artworks with the theme of 'a connection with Okayama Prefecture'. 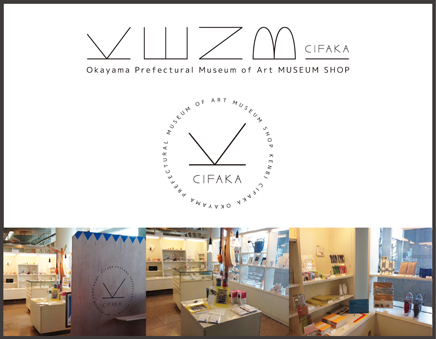 The 'Okayama Art' exhibit which showcases these works, exhibits different Japanese paintings and writings every month and different Western art and industrial crafts every three months. In addition, we hold special exhibits and themes through which works from a variety of eras and genres can be enjoyed. 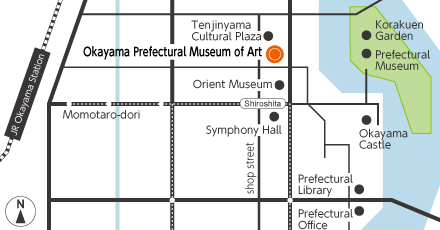 The following people will be exempted from paying entry to the “Okayama Art”exhibit. Decided each time depending on the exhibit. * Please don't touch exhibits. * Please refrain from using a fountain pen, a brush or a camera in front of exhibits or reproducing them. * Please refrain from smoking, eating, or drinking except in the designated places. - Take the street car bound for "Higashi-yama". - Get off at "Shiro-shita". 3-minute walk.